This year, Japan's economic recovery is expected to continue over these five years, marking the longest in the post-war era. With manufacturing industry, especially, further growth is prospected, as many businesses there are predicted with promising performances. During this favorable grace period, this country's politics should visualize its best appearance and clearly describe what we, Japanese are to be patient with and to change for. And, in my view, all the people are to selflessly take actions so that the other nations would respect Japan as role model of quality nation. The economic prosperity after 2020 seems restricted what with structural problems of population, sluggish productivity improvements because of delayed innovation, and insufficient investment toward innovative technology. In order to tackle the manpower shortage due to low birthrate and aging population, it is essential to review the notions on some factors such as Japanese business climate/culture, life style and labor, as suggested by the work style reform the government is promoting, and also essential is to improve the work environment with higher productivity, where individual desires for work can be fulfilled. We, in this industry, also should seek for cooperation from businesses to improve the hiring conditions and welfare, as well as to respond to career development needs from the temporary and contract workers. Additionally important is to leverage more non-Japanese workforce, not as makeshift workers but the long-term labor, which requires Glocalization(※) of the work site to work together. Innovation Society 5.0 that both public and private sectors are promoting in recent years aims to realize a society where one can have hopes and each person can live and work with comfort, by utilizing IoT (Internet of Things) for connecting all the individuals with things, ensuring to add new values that have never been generated before. Manufacture industry also needs to change their strategies and to develop capacities such as MONOZUKURI, production management and quality management by training IoT human resources in view to reacting for 'Smart Factory' concept, which will accelerate the return of MONOZUKURI to Japan. 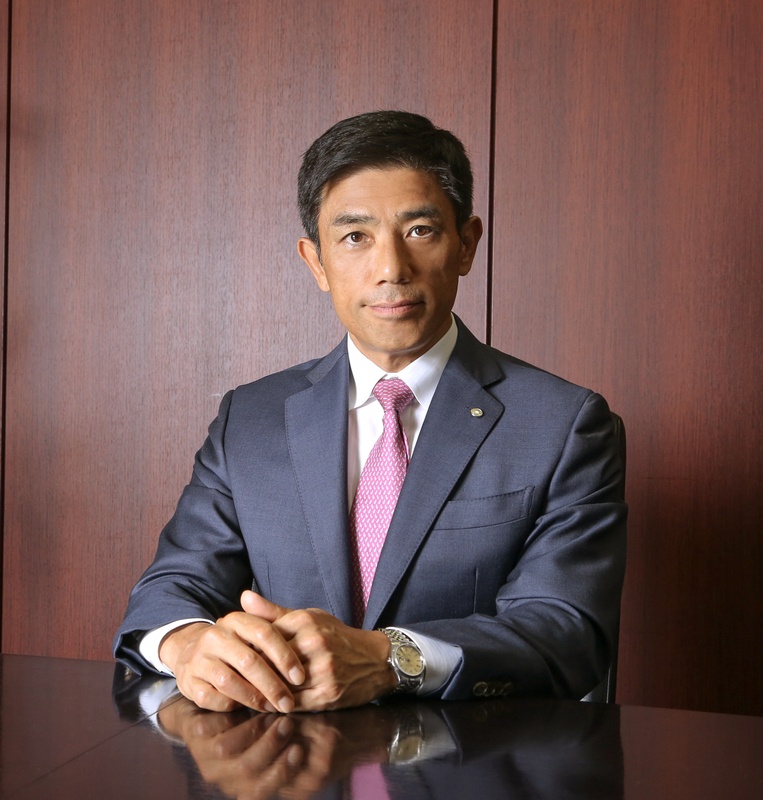 Calling ourselves "a manufacturer without possessing facilities and land", with a concept "to support Japan's MONOZUKURI with technology belonging to people", we have vigorously endeavored to integrate improvement consulting and manufacturing outsourcing, along with developing our human resources. As our new strength, we will launch the IoT solution business and as our first priority, will invest our resources to be a company with the System Integrator function that enables to provide Manufacturing Execution System (MES). On the other hand, we expand our services toward Japanese-affiliated manufacturing firms in Asia in order to implement how to share production information between domestic and international locations, and how to synchronize and standardize their productions. We will keep committing ourselves to supporting Japan's manufacture industry with every possible effort of our group, where our staff and technical workers can be proud of working. 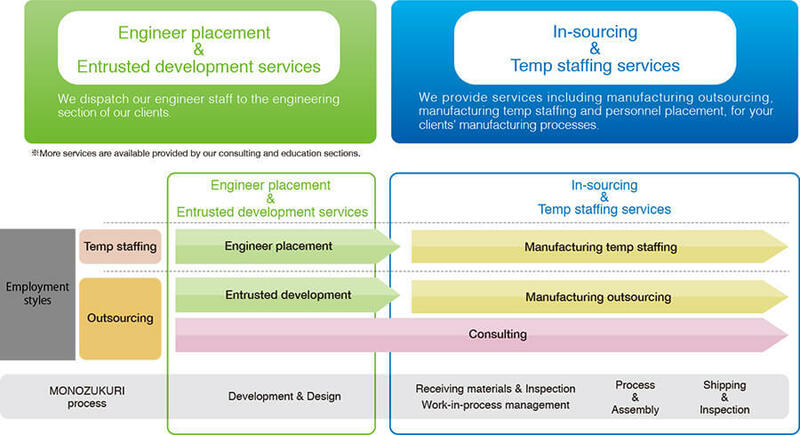 HIRAYAMA group presents major services of 'in-sourcing & temp staffing' and 'engineer placement & entrusted development'. In every process of MONOZUKURI, we support with temp staffing and outsourcing services, while in manufacturing outsourcing, we provide services to improve GENBA (work place) circumstances for better productivity, in collaboration with our GENBA consultants of HIRAYAMA group. In our in-sourcing model, we undertake "manufacturing in clients' plants" to brush up with higher quality. We take advantage of our domestic experiences over 30 years for actively extending our services overseas such as Thailand and Vietnam. JOB SUPPLY HUMAN RESOURCES THAILAND CO., LTD.
HIRAYAMA (THAILAND) provides four major services, namely temp staffing, manufacturing in-sourcing, GENBA KAIZEN consulting and human resources development, among which primarily focused upon is human resources development, as we collaborate with local firms and vocational schools (high technology schools) , we have received high credits for our promotion on human resources pre-education, new graduates recruitment and utilizing student workers. 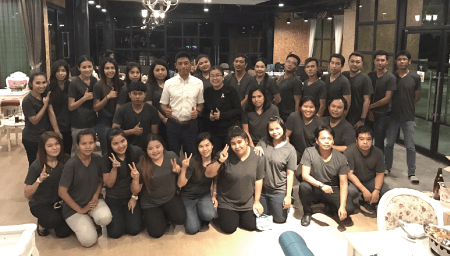 We are dispatching about 3,000 temp staff to Amata Nakorn Industrial Estate in Chonburi Province and other areas. Our consultants visit the outsourcing and temp staffing sites to assess and promote their improvements as well as to activate the work sites. HIRAYAMA (VIETNAM) provides services such as high-quality consulting, human resources education/management and more. In GENBA KAIZEN consulting service, experts with many years of experience provide consulting for improvements with high efficiency. 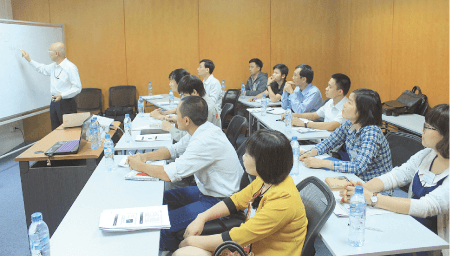 In Human resources education service, Japanese experts with many years of experience at large business groups, share their wisdom with the Vietnamese counterparts to provide the trainings to indicate what action should be taken for better achievements. Also, our personnel consulting introduces Vietnamese staff who have been basic-trained locally, to companies in Vietnam and Japan alike.